ATLANTA -- A.J. Burgess was born a month too soon without a working kidney, WGCL-TV reports, and his father Anthony Dickerson is a 110 percent match for an organ donation. But surgeons at Emory Hospital in Atlanta won't perform the operation because Dickerson served time in prison for violating probation. 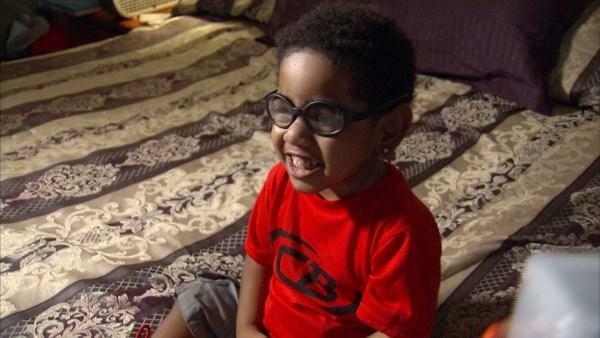 Burgess, who only weighs 25 pounds at age 2, spent 10 months in a neonatal intensive care unit. Dickerson was tested and proved to be the perfect match to give his son a kidney, WGCL-TV writes. "He made it his business to say, 'Once I get out, I'm gonna promise to my son that he can get a kidney," A.J. 's mother Carmella said. As soon as Dickerson was released from prison, he was about to go through the steps to donate his kidney on Oct. 3. However, he returned to jail for violating his parole again for possession of a firearm or knife during the commission of or attempt to commit certain felonies, according to WGCL-TV. It was at that point everything changed for the family and Carmella said that the hospital needed three to four months before the child's father could donate his kidney. "The lady said we need your parole information and your probation info. He said 'why?' We need you to be on good behavior for three to four months before you can give your son the kidney. And January 2018 we will think about re-evaluating you basically," Carmella said. Emory Healthcare issued a statement to WGCL-TV saying in part that organ transplants are designed to ensure success for organ recipients and that it cannot share specific information about this case. "Emory Healthcare is committed to the highest quality of care for its patients. Guidelines for organ transplantation are designed to maximize the chance of success for organ recipients and minimize risk for living donors", the statement read. "Because of privacy regulations and respect for patient confidentiality, we cannot share specific information about patients." Meanwhile, Burgess' mother says waiting until 2018 might be too late for her toddler as his health continues to worsen. She says A.J. 's body is failing and he needs bladder surgery. She is hoping a GoFundMe page will bring awareness to the family's predicament and provide funds for financial stability.